Some multi-coloured tourmaline crystals are cut with several colours showing together in the stone. Some crystals occurring with a red centre and a green skin are called “watermelon” tourmalines. 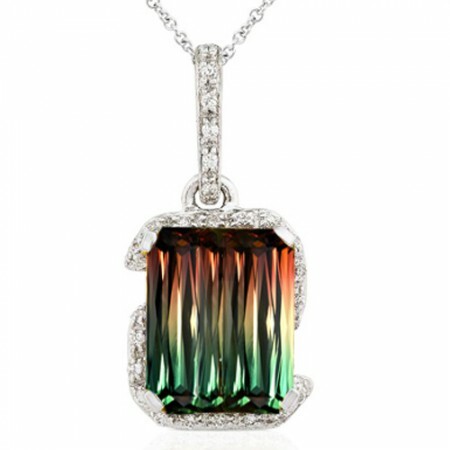 If the colour zones are arranged on top of each other, then the stones are called “Rainbow Tourmaline”. These stones are believed to strengthen the body and spirit, especially the nervous system, blood and lymphatic system. They are also said to inspire creativity and to be used as a talisman by artists and writers.